Last season, Oregon learned that life after Marcus Mariota wasn't going to be easy. The best quarterback in school history and the 2014 Heisman Winner was missed, even though Eastern Washington transfer Vernon Adams played terrific. Unfortunately, Adams missed time with injury and the Ducks' defense lagged at times, leading to a pretty disappointing 9-4 campaign that was capped off by an epic collapse to TCU in the Alamo Bowl. While it was frustrating and uncommon for one of college football's premier programs to lose four games, the Ducks were still elite offensively and didn't lose a game when Adams played all the way through. They may be without Adams in 2016, but their offense should still lead the charge. If former Michigan head coach Brady Hoke can evolve the defense, this team could still win the brutal Pac-12 North. Backfield: For awhile, it was unclear whether Vernon Adams was even going to play for Oregon. The Eastern Washington QB had put on a show in the FCS ranks, but made it clear he was intending to transfer to Eugene for his final collegiate season, hoping to earn NFL Draft suitors. However, poor grades and credits nearly delayed his transfer. A late clearing helped him secure entry into Oregon, but it was late, and he didn't have much time to learn the offense. Even so, Adams passed for 2,643 yards and 26 touchdowns, despite being beat up for much of the year. Adams is now gone, and longtime backup Jeff Lockie is moved into more of an adviser role as a senior, but the Ducks have zeroed in on a replacement. Another FCS quarterback who hopes a big senior year on a larger stage will earn NFL suitors, Dakota Prukop is arriving in Eugene. Prukop has put up huge numbers with Montana State, but will need an adjustment period. He will have to learn the Oregon offense while also adjusting to the pace of FBS football. While that may be interesting, Prukop's potential is extremely high. He has wonderful arm strength, good accuracy and can make plays with his legs. Prukop is a perfect fit for Oregon's up-tempo, spread attack but if he doesn't lock it down, the Ducks could turn to either junior Taylor Alie (14 passing attempts in '15) or redshirt freshman Travis Jonsen. 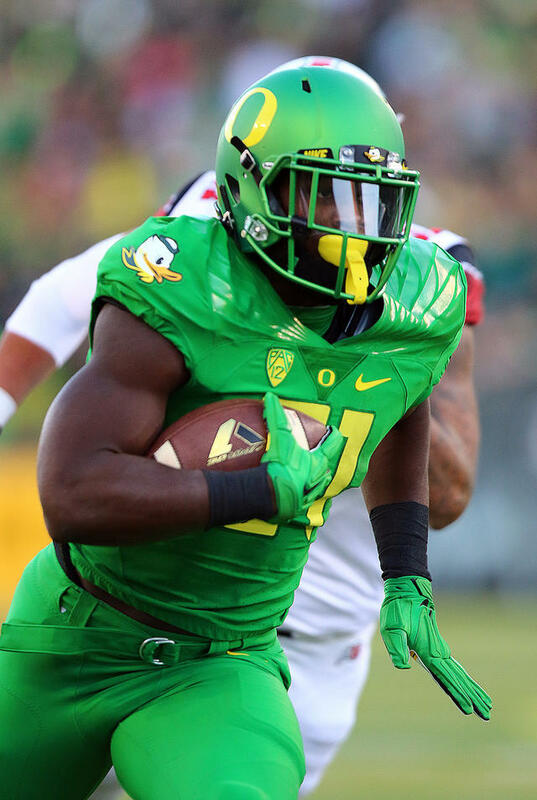 As usual, Oregon has a stud back at running back, as junior Royce Freeman returns. Freeman ran for 1,838 yards and 17 scores last season and would have been a serious Heisman candidate if the Ducks didn't struggle and he didn't play on the West Coast. Oregon will lean on him even more in 2016, and his 283 attempts last season could even increase this year. Freeman fits the stereotype of the typical Oregon back; he is lightning quick and can cut on a dime, but he can also bruise between the tackles. Also as usual, Freeman will have plenty of help as sophomore Taj Griffin also returns at running back. Griffin ran for 570 yards on just 77 carries (a 7.4 average) and proved to be even more explosive than Freeman. Expect the Ducks, who often use different backs in different situations, to use both Freeman and Griffin quite a bit in '16. Joining those two will also be junior Kani Benoit, who also proved he could produce in a big way despite limited carries (364 on 52 carries). Unlike Griffin and Freeman, Benoit has most of his success as a power rusher, excelling at running through contact. Oregon is sure to use the veteran in many short-yardage situations this season. Receivers: While the returns of Freeman, Griffin and Benoit will give the Ducks some astounding versatility in the backfield, their receiver corps may be their strength on their offense. They have two established, lengthy receivers in senior Dwayne Stanford and junior Darren Carrington. Carrington finished off second on the time in receiving (only behind the now-departed Bralon Addison), hauling in 32 receptions for 609 yards. Carrington is a legit star and an NFL prospect because he plays with an incredibly high motor and has wonderful athleticism. Stanford was also very productive a year ago, using his wide and long frame (6'5", 205 pounds) to bully smaller defenders. The Ducks also have their fair share of speed and explosiveness at the position, starting with junior Charles Nelson. Nelson played mainly offensively as a freshman in 2014, but the Ducks were so thin in their secondary last year they had him start at safety. 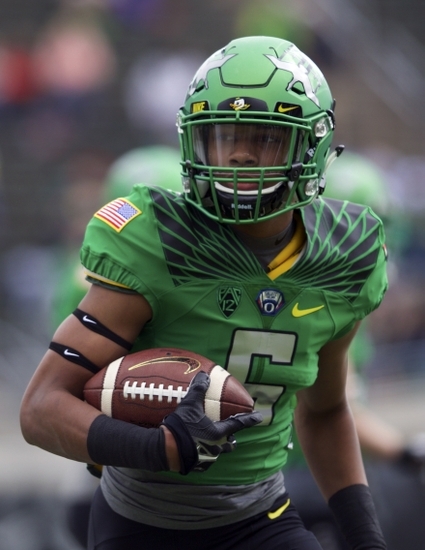 He may play some defensive back again in 2016, but the Ducks will also look at him once more offensively. Nelson is just 5'8", and while small, he makes a wide variety of plays. His small frame is tough for defenders to get a hold on, and he is as quick and agile as anybody in the nation. First year offensive coordinator Matt Lubick (who takes over for the highly regarded Scott Frost, who took the UCF job) will be creative in how he gets Nelson touches. Big things should be expected of junior Devon Allen, one of the fastest players in college football. Already an established superstar in track and field, who is actually competing to play in the Olympics. But, he is still trying to cash in on his potential on the football field. Allen was great in 2014, but suffered a knee injury in the 2015 Rose Bowl and really was never the same in 2015. The Olympics may be taking up his time and energy right now, but he could have a big season on the football field. Sophomore Jalen Brown has an extremely high ceiling and showed plenty of promise last year, in his first year of action with the Ducks. The Ducks are also thinking that highly touted newcomer Dillon Mitchell will contribute in his true freshman season. Mitchell is a four-star prospect that has the flashy speed that Oregon is accustomed to. The tight end position is most likely going to be handled by sturdy senior Pharoah Brown, who missed nearly all of 2015 with a leg injury. Joining him will be two other seniors, Evan Baylis and Johnny Mundt. Baylis plays like a receiver, with excellent speed and hands, recording 16 catches for 229 yards last year. Offensive Line: The Ducks' speed and flash often takes credit away from their big guys, but the offensive line has still played a huge role in their run of success over the past few years. Unfortunately, the Ducks suffer some major losses on the unit entering 2016. Tyler Johnstone was a high quality tackle that will be missed, while former Notre Dame transfer Matt Hegarty was an anchor at center. The right side of the O-Line should be the strength of the unit, as junior Tyrell Crosby is back at guard, and Cameron Hunt is slated to return at right tackle. Hunt is a senior that brings great pass blocking to the equation, while Crosby is a good athlete and uses great technique. The center position is a huge question mark after Hegarty moves on. Freshman Jake Hanson appears to be the favorite to start, but the Ducks lack depth in the interior of the unit. If there are injuries or somebody doesn't perform, they could be in trouble. On the left side of the line, junior Evan Voeller is the favorite to take the guard spot but the tackle spot is a pretty large concern. Two incoming freshman, Logan Bathke or Jacob Capra are ready to contribute from the get-go. Both have excellent versatility and could help out Oregon at a variety of positions. Defensive Line: They don't get much credit for it, but Oregon has produced some excellent defensive line prospects over the past few years. Arik Armstead grew into a feared pass rusher and 2015 NFL Draft pick and just this spring, DeForest Buckner went in the first round. Buckner's pass rushing prowess will not be easy to replace. He had 17 tackles for loss and 10.5 sacks in 2015, and struck fear into opponents. The Ducks do have potential on the D-Line however, and it could be a group that could surprise. Junior Henry Mondeaux has a very high ceiling and showed plenty of promise with four sacks a year ago. He should have one defensive end locked down, and will bring plenty of aggressiveness off the edge. Senior T.J. Daniel has been a system guy for awhile and is looking to have a breakout at end. Big things were expected of Daniel last year after Armstead departed, but he never really delivered. Expect Brady Hoke to look to the veteran to be a valuable asset at end. Junior Austin Maloata is the favorite to lock down snaps in the middle. He was limited to very little snaps last year, but showed promise in the spring. Senior Torrodney Prevot also has a chance to lock down a starting gig in their defensive front. Prevot had 48 tackles and 2.5 sacks last year, being a real weapon in run support. He won't come after the quarterback too often, but Prevot has proven he can make plays when needed. Four-star newcomer Bryson Young is a big deal for the Ducks. 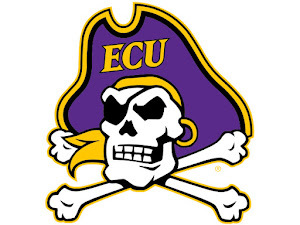 Young comes from Clovis, California as a player that could very well have an NFL future. He has the size (6'5", 220 pounds) and athleticism to have a future at the next level, but that is obviously a long way away. For now, he will look to have a solid season as likely a deep rotation defensive end. Three-star Wayne Kirby may not have his potential, but he is a guy that clog up lanes in the interior for the Ducks in the near future. Linebackers: The Ducks do certainly have questions on their football team; their QB spot is still highly unsettled, and the offensive line has some serious holes. However, none of those issues compare to their worries at linebacker, where essentially everybody left. Christian French, Rodney Hardrick, leading tackler Joe Walker and Tyson Coleman are all gone. Walker had 87 tackles and five tackles for loss, while Coleman showed excellent coverage potential. That leaves with a dilemma as he installs a 4-3 system for Oregon. Senior Johnny Ragin is a guy he can probably trust as the veteran has a great nose for the ball. He is almost certainly going to lock up an inside linebacker slot. Junior Danny Mattingly has good instincts and recorded 25 tackles last year, he should be able to increase that production in a big way. Also fighting for opportunities is junior Cody Carriger, likely as an outside linebacker. Carriger barely even played last year, but he has a high enough ceiling he could do some damage in 2016. The Ducks do not have great experience in the unit however, and could resort to junior A.J. Hotchkins at one linebacker spot. Hotchkins originally began his career with Wyoming before transferring and starring in the junior college ranks. He clearly has a lot of talent but will need time to adjust to an up-tempo Pac-12. If he doesn't adjust quickly, Oregon could be perilously thin at the position, not a good omen in a conference that loves to run the ball. There may be a couple other newcomers that could impact the position like Hotchkins. Eric Briscoe Jr. has the chance to be a dynamic pass rusher off the edge but he will have to fight for snaps this season. Keith Simms was a pretty big get off the East Coast, coming in as a four-star guy. From Maryland, Simms plays hard-nosed football and could get snaps. A player to watch: redshirt freshman Matt Mariota. Marcus' brother won't too much of an impact on the field this year, but may be fun seeing another Mariota on the field in Autzen Stadium. Secondary: The secondary is not without questions, but it doesn't have the same glaring holes the defensive line and linebacker group have. No significant player moves on, and the only really loss they may have is junior Charles Nelson, who will play more offense (as previously mentioned), but he could still play a defensive role after picking up 46 tackles and two picks last year. No matter what Nelson does this year, expect bigger things from junior Tyree Robinson. Robinson was a pretty big recruit by the Ducks, and has showed great promise. He had 64 tackles a year ago, but many people think he could be even better in '16. He is certain to make some incredible plays with his range and wonderful ball skills. Oregon is in pretty good position at cornerback after they had some inconsistent play at the position last year. Junior Arrion Springs is a great football player, and showed that he could be a No. 1 cornerback when needed. The Ducks face plenty of great receivers this season with Nebraska, Washington, Washington State and USC on their schedule. Junior Chris Seisay took his lumps last season, but should play an increased role. He had one interception last year, but he has always shown a knack for creating turnovers. Junior Juwaan Williams is likely to lock down a safety spot, particularly if Nelson moves full-time offensively. He had 21 tackles last year, and will compete with another incumbent piece, senior Reggie Daniels. Daniels played really well last season, but Williams has put together a strong spring and will push the veteran. There are also a couple newcomers that could fight for snaps, but the unit is pretty deep and strong. Four-star Brady Breeze opted to stay in state in Portland, and could find a way on to the field. Special Teams: Oregon has never been a team known to kick much, but junior Aidan Schneider is a star. He knocked down 22 of 24 field goals last year, and has a huge leg. Junior Ian Wheeler is surely going to lock down punter duties. In the return game, Oregon has always had speed and explosiveness. Their leading returner last year was Nelson, and he could handle the role very well in 2016. For years, Oregon has been a staple at the top of preseason rankings. This year, there is some uncertainty after a four-loss campaign. Having issues on the front seven and offensive line in one of the toughest divisions in college football (the Pac-12 North) only adds to those questions. Not only will Oregon have to deal with that division, a cross-division game at USC will be tough and Nebraska in mid-September is also rough. Even though there are questions, this is still a typical flashy Oregon team that can score in bunches. Royce Freeman is a special talent, and Prukop has all the abilities to put together a big year. The Ducks may have faltered a bit and have some serious questions entering the year, but Mark Helfrich still has a dangerous team in Eugene. 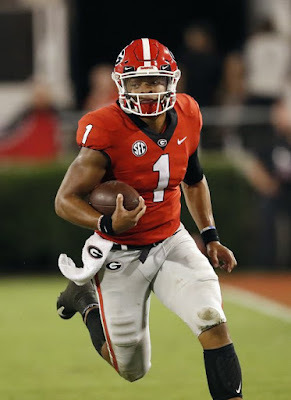 If they can ignore some of their questions and get some major improvements, this is still a team that could contend for the College Football Playoff.